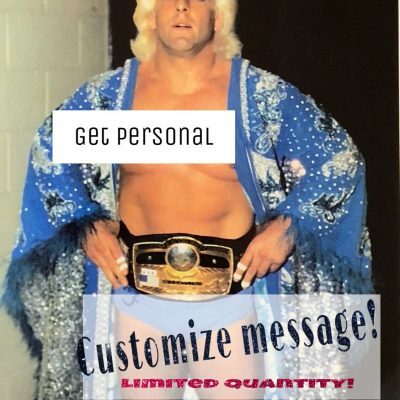 A custom message from Nature Boy on 8×10 photograph Ric Flair (example: Happy Birthday Fred! (ric flair signature below). Plase, keep messages short and sweet. 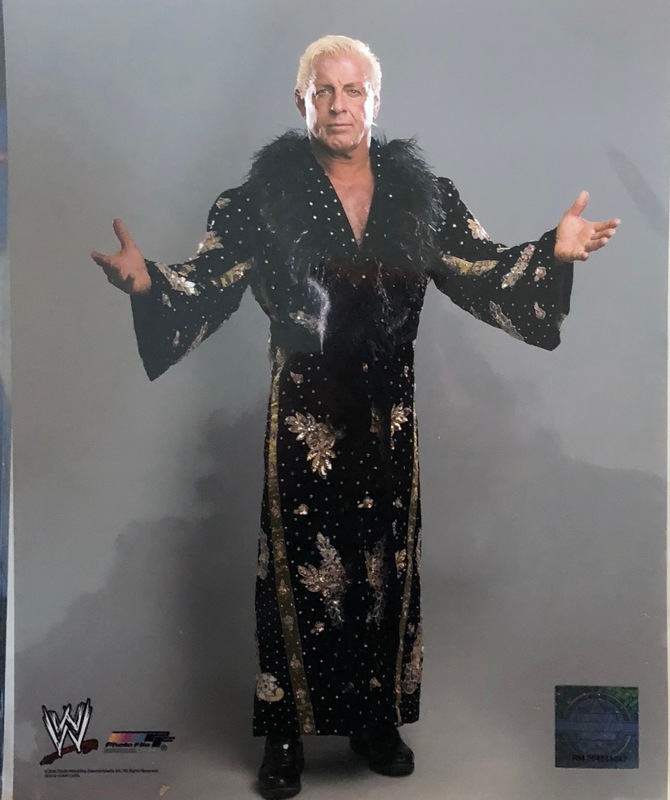 Get your personalized (short message) and autograph of the Nature Boy himself. Choose from our various limited edition photos and buy for yourself or as a gift your friend or loved one will never forget. *Please keep customized message very short. 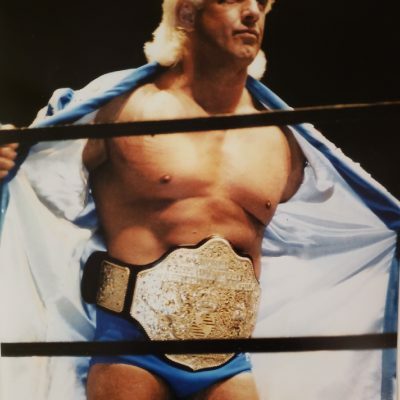 Ric always signs a Wooooo after his name so don’t worry about including that in your message. When you checkout, please put the message in the notes section. Thanks!